Compliance is a law, not a suggestion. ShredPros, based in Orange City, Florida, specializes in document destruction and shredding. Our tamper proof Security Bins and Consoles are the perfect solution for expertly disposing all of your business' sensitive and confidential information. Nothing is better than the peace of mind you gain knowing that all of your important documents are secured. The executive DuraFlex Console is a non-formaldehyde console designed with ultra-strong poly components that reinforce all the points where traditional consoles fail. The DuraFlex gives you the efficiency, durability, and flexibility you need, making it an asset to your company for years into the future. These paper shredding bins are 100% recyclable. Please note, you are not required to remove staples, paperclips, or binder's clips. In addition, we will gladly accept spiral notebooks, rubber bands, or Penndel files. For our business partners, ShredPros recommends a regularly scheduled service (i.e. weekly, bi-weekly, monthly, quarterly, annual service). 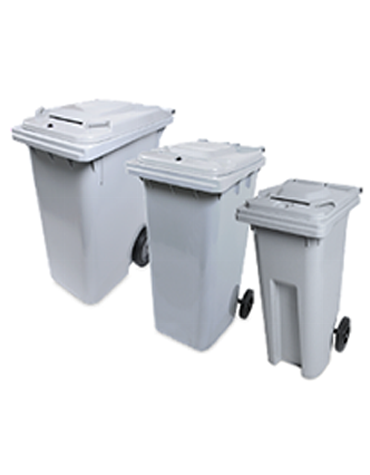 ShredPros bins provide a secure location for document collection. They boast up to 350 lbs. of paper-holding capacity. The external hasp and internal lockjaw locking system secure the lid of the container, thereby preventing tampering or removal of sensitive documents. No padlocks are required for these security bins. 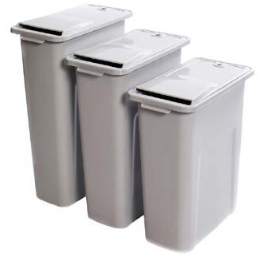 As a procurement officer or an employee trying to source a compliant container – the task to find the right paper shredding bins for your needs and regulations can be overwhelming. 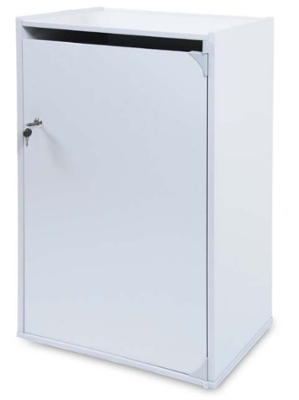 Shredinator secure deskside collection container is the number one choice for hospitals and medical facilities. The Shredinator is offered in 3 different heights and fits nicely under desk next to each workstation. 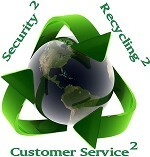 Prevent the lazy toss into the recycle bin and have a secure Shredinator at each work station for complete compliance! 100% OF ALL DESTROYED PAPER IS SECURELY BAILED AND REPURPOSED INTO A VARIETY OF PAPER PRODUCTS. 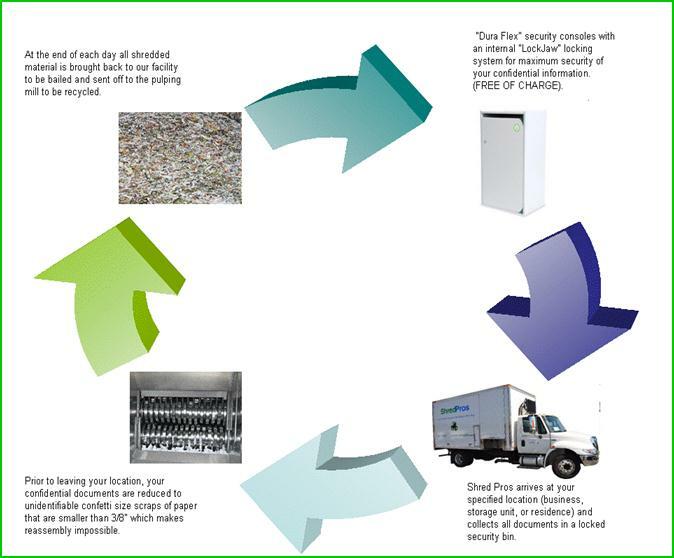 ALL SHREDPROS DOCUMENT SHREDDING CUSTOMERS ARE PARTICIPATING IN A GREEN INITIATIVE PROGRAM. ShredPros is always financially mindful of our customers and has a comprehensive understanding of doing business in today's difficult economy. Therefore, we highly recommend that our customers, from a cost perspective, to repurpose their three-ring binders, bankers' boxes, binder clips, and metal hanging files. However, if our customers do not wish to reuse/repurpose these items ShredPros will gladly recycle those unwanted office materials for you and denote those re-useable items to one of the local non-profit partners or schools. For a free quote, questions or comments, please use the information request box listed here. We look forward to hearing from you soon.